Fuji Depot 10ft. 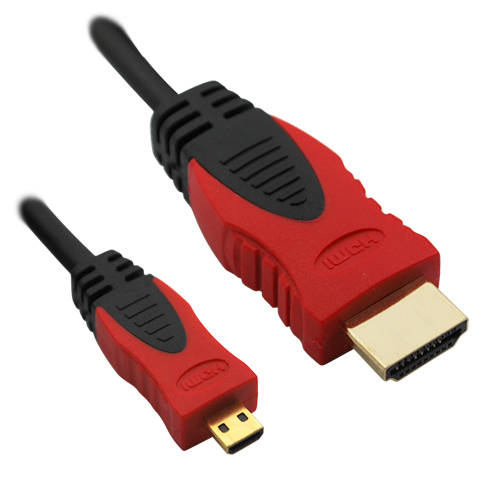 High Speed Micro HDMI to HDMI Cable with Gold Plated Connector. You can use this Micro HDMI male to Standard HMDI Male Cable to connect to your Smartphone, Camera, and other portable device that has the Micro HMDI connecting port. 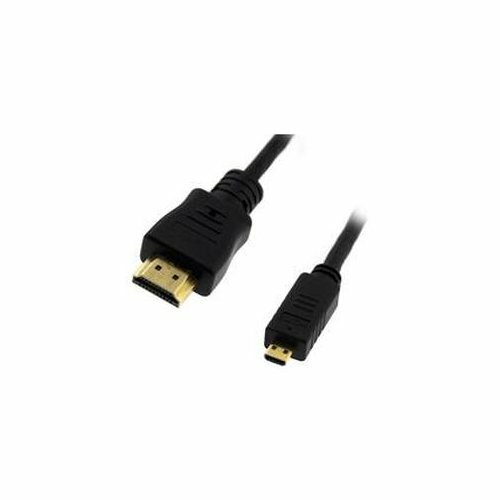 You can just connect this Micro HDMI male to Standard HMDI Male Cable from your device to the TV and you will be able to view your phone information on TV. Brand new high quality gold plated cable. Cable constructed using the high quality material for best contact connection between Standard HDMI WITH ETHERNET equipment. Cable length: 10 feet. Connect your smartphone (for example, Sprint HTC Evo 4G, Motorola Droid X), portable HDTV DVs, Camcorders, Cameras or Game Consoles to your HDTV. Connectors: High Speed Micro HDMI WITH ETHERNET Male to HDMI WITH ETHERNET Male. Supports 480i, 480p, 720p, 1080i, 1080p, 2160p resolution.